As the name suggests, the Maritime Museum in Barcelona is dedicated to the world of navigation and the ships associated with it. 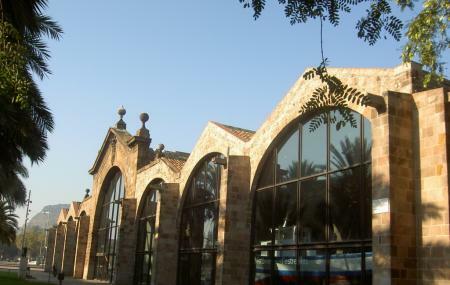 Housed in the former shipyards of Drasannes, this museum displays the maritime history of Catalonia. As for Reials Drassanes (or Royal Dockyards), they are the largest and most complete old shipyard preserved in the world. Inside the museum, there are reproductions of boats and objects related to maritime world pertaining to different periods of the history. There are a number of activities to engage the visitor such as workshops for children aged 3-12 years and an interactive area called as “The Great Sea Adventure”. The Museum Marítim has a remarkable collection of navigational instruments, which are especially served for navigation. Free admission on Sundays from 3:00pm. Boat ride Saturdays from 10.00am to 1.00pm (Only with reservation). How popular is Museu Maritim? People normally club together Museu Europeu D'art Modern and The Magic Fountain At Montjuic while planning their visit to Museu Maritim. It’s a great spot for 90 minutes with modern multi-lingual audio guides included in the entrance. They lead you through the exhibition without entering numbers :-). Great information in three languages on displays, enough interactive displays for younger ones. Some explanations are a bit political to demonstrate Catalunya‘s stake as a country (using the kingdom of Sicily to throw out the French ;-)). Interesting facets about life and history on the sea. In a beautiful ship factory. To revisit. A great 1-2 hour self guided tour. While not a big museum it boasts well done interactive displays, plenty of scale models and an amazing full size replica of the style ships built in that location. Well worth the time and reasonable admission. One of the best places to visit! Amazing maquettes and ship models, interactive screens, presentations. You could spend 3h easily getting lost between the models and listening to the audio guide. Really beautiful museum. I like the architecture of the building and there are many useful information. And it's free on Sunday from 3pm. It was disappointing to be honest. I was expecting to see many ships or the ancients of the ships but it was mostly the models of the ships or the pictures of them. They have one big ship inside but the restoration of the ship was a failure I think because it wasn't looking old. It looks like cheap replica.